A New Kind of Data – The data generated by the ‘Internet of Things’ can look familiar but be difficult to categorize. At its most basic level, IoT data is one of connectivity and monitoring. It records the usage of multiple customers at different points of time. For instance, a ‘Smart Home’ device like Amazon’s Alexa harvests a data trail from a single home’s continued usage, while relying on existing data from the Internet. Getting directions to ‘my school’ requires individual consumer data to know which school the customer attends, while the directions are accessed through the greater GPS capabilities of the Internet. A New Kind of Analytics – Without an analytical model for such data previously set in place, processing IoT data can be overwhelming and near impossible! IoT data is generated by sensors, which can be applied to a multiplicity of cases, but must be delicately programed in order to effectively process the data on which your organization relies. These analytics often combine sensor data with data harvested elsewhere to detect greater consumer patterns. The technology is there, it just takes a good team to organize it. A New Kind of Scaling – While IoT devices and big data may seem too complicated for early stage development, those who engage with the IoT ecosystem at every moment in the scaling process are consistently more successful. IoT-generated data helps organizations provide a personalized service to their earliest customers, as well as drive their growth with fact-based results. If anything, these critical insights are most helpful in the earliest stages – when questions abound, data can be the answer. A Better Kind of Partnership – A grim statistic? 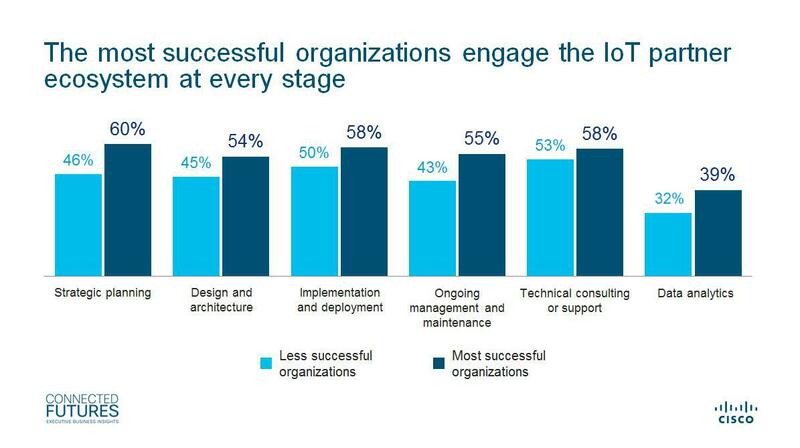 Only 26% of companies are successful when embarking on Internet of Things initiatives. Great successes with IoT have fueled an information gold rush of sorts, and everyone wants in. When CIOs partner with Trace3, they give themselves an edge above the competition in harvesting and getting the most out of their IoT data. When it comes to IoT-driven data, collaboration is key to going beyond the buzzwords.